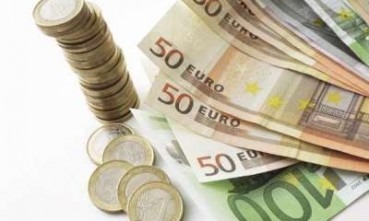 The euro was increasing in value against the US dollar today, trading at 1.4114 as of around 7:00 A.M., GMT. The EU’s single currency is up 0.011% on the day and has reached a session high of 1.4137 with a low of 1.4069 so far. Investors are anxiously awaiting the Euro zone summit to be held in Brussels on Thursday that is aimed at finding a viable solution to Greek’s ongoing debt issues. The discussions leading up to the summit appear to be focused on one particular issue: the terms of participation for private creditors in the second Greek financial bailout package. On the other side of the Atlantic, the tone of discussions regarding fiscal policy is not much more positive. Democrats and Republicans have still not reached an agreement on raising the US debt ceiling against the backdrop of an August 2nd deadline to do so or face the prospect of defaulting on its obligations. This convergence of debt crises has allowed the euro to limit its losses somewhat against the greenback. – “The debt problem in Europe is serious, and it appears to be worsening,” said David Solin of Foreign Exchange Analytics. – “The markets expect Europe to speak with one voice, they expect that its leaders make decisions quickly to address Greece’s problems, and that it show that someone is holding the reins and trying to avoid allowing the situation to escalate,” observed Kathleen Brooks of Forex.com.